As you can see, we are easily amused. We had two days sightseeing in Bangkok, the first on our own where we just acclimatised, re-time zoned and walked around the area near Khao San Road. 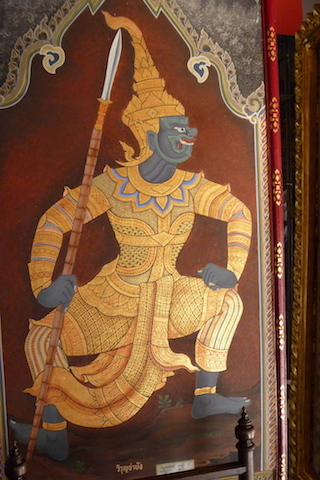 On the second day, we had an organised tour where we visited Wat Pho and The Grand Palace which are right next to each other. Both of these are pretty much “must dos” when in Bangkok and depending on time of year will be hot, sweaty and crowded. 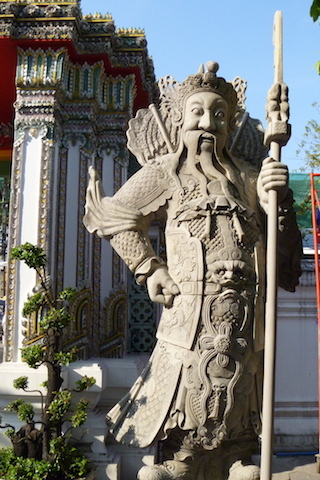 Wat Pho is one of the oldest and largest in Bangkok. 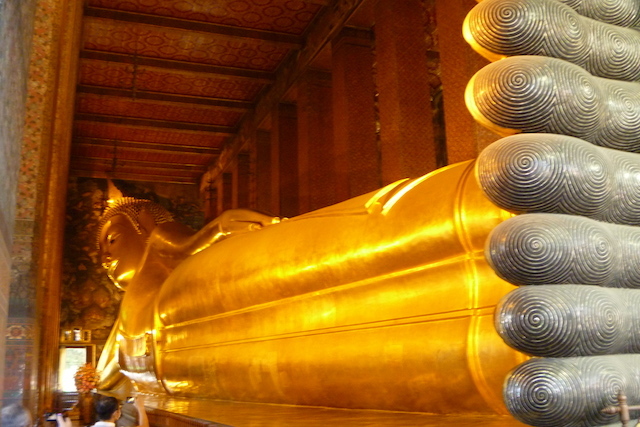 Its primarily known for having one of the largest single Buddha images, he is reclining and is apparently 15m high and 43m long. 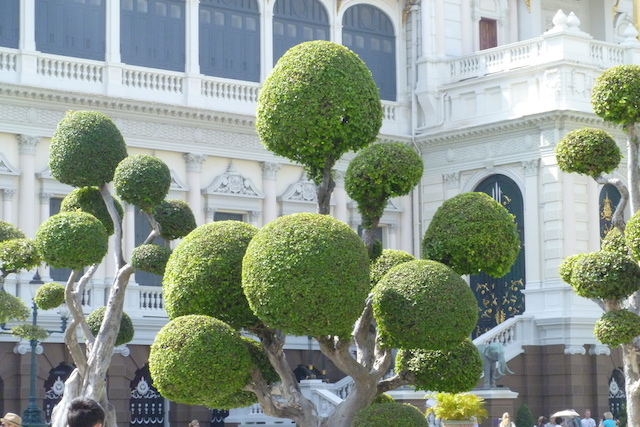 The Grand Palace is a complex with a number of different buildings. 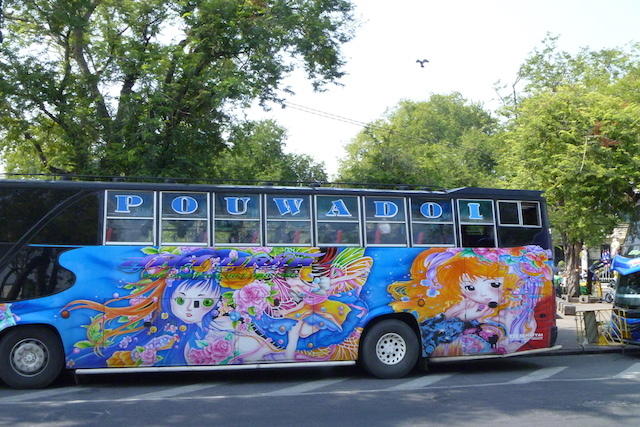 Its used for royal and state functions. 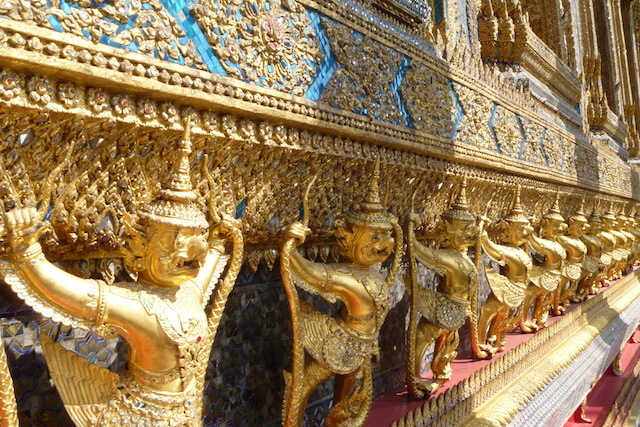 The main attraction here is the Emerald Buddha which is held within the most sacred temple in all of Thailand. 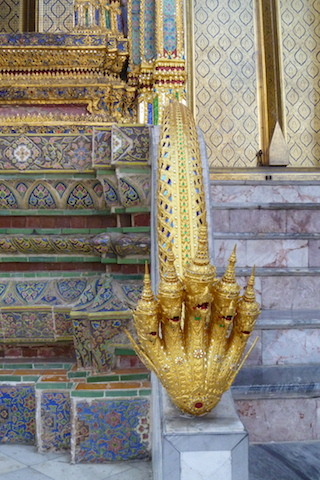 The Emerald Buddha is made of a single piece of Jade and is only 66cm tall and he’s way up high. 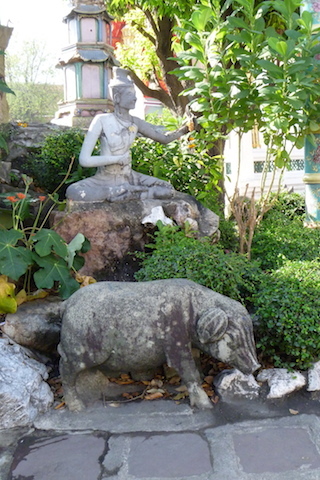 Over the centuries this statue has moved around a bit, it was in Cambodia in the 15th century, Laos in the 16th where it remained until the 18th century, when it was captured by the Thai. 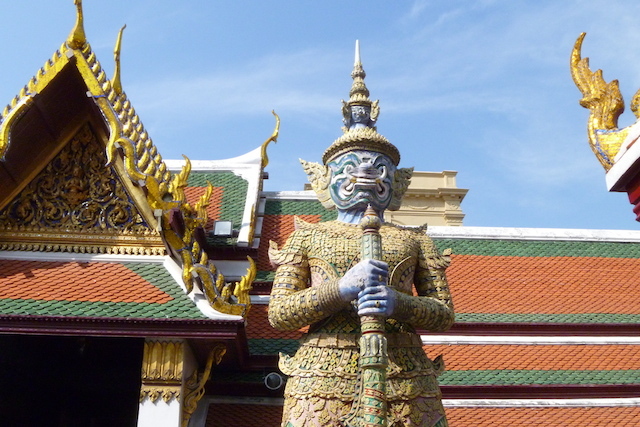 One thing to note for visitors is that The Grand Palace has a very strict dress code for men and women, so you might want to rethink what you are wearing and/or take something to cover up. Think very modest and tidy clothing so no shorts or 3/4 length pants, skirts, tight fitting clothing, see-through anything, sleeveless tops, rolled up sleeves or sandals. Also no exercise or lounge wear. If you aren’t wearing appropriate clothing, you will have to wear a “dressing gown” which you will need to pay a deposit for. One tip I have for those travelling through Asia and visiting temples is to wear easy slip on/off shoes. You may also like to wear old socks as they will be filthy after a temple or two. I typically take old ones and throw them out at the end of the day.